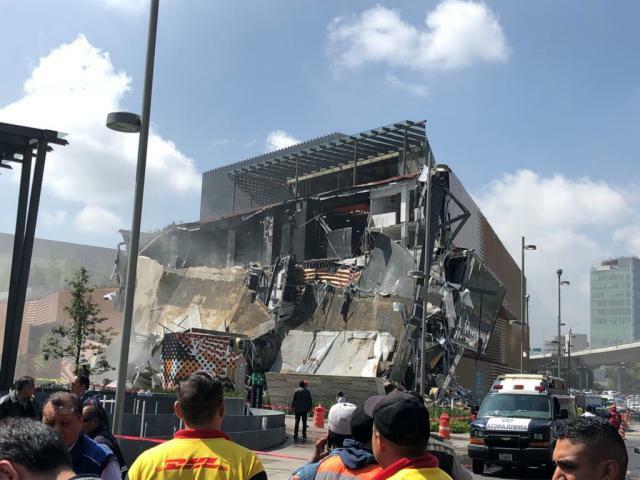 A portion of a multilevel luxury shopping center in Mexico City collapsed on Thursday, sending debris flying and kicking up clouds of gray dust, television images showed. No deaths or injuries were immediately reported at the site, Mexico’s civil protection agency said. The shopping center, called Artz Pedregal, in the south of the capital opened in March, according to local media. Mexico City’s head of civil protection Fausto Lugo said that the cause was structural, but that experts would need to investigate whether the specific problem related to its design, construction or materials. He added that the center had all its permits in order. Mexican planning officials developed a building code with strict safety standards after a 1985 quake toppled hundreds of buildings in Mexico City. Even so, a 7.1 magnitude earthquake last September caused dozens of buildings to collapse and killed about 370 people in the capital and surrounding states, raising concern over Mexico’s construction codes and practices.